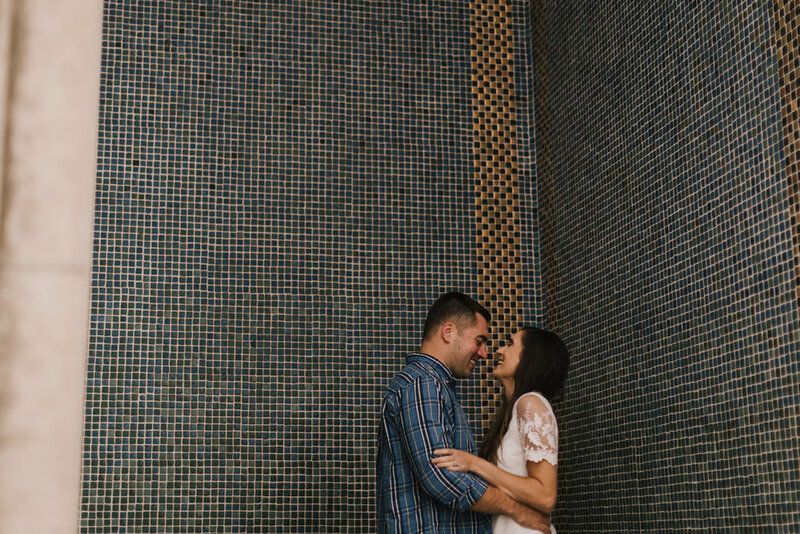 Now, you know I'm not one to cancel on something just because of some rain (aka my wedding day) but wowowow this one was fun! Allison and Logan were visiting KC from Indiana and I got to hang out with them and take some photos. 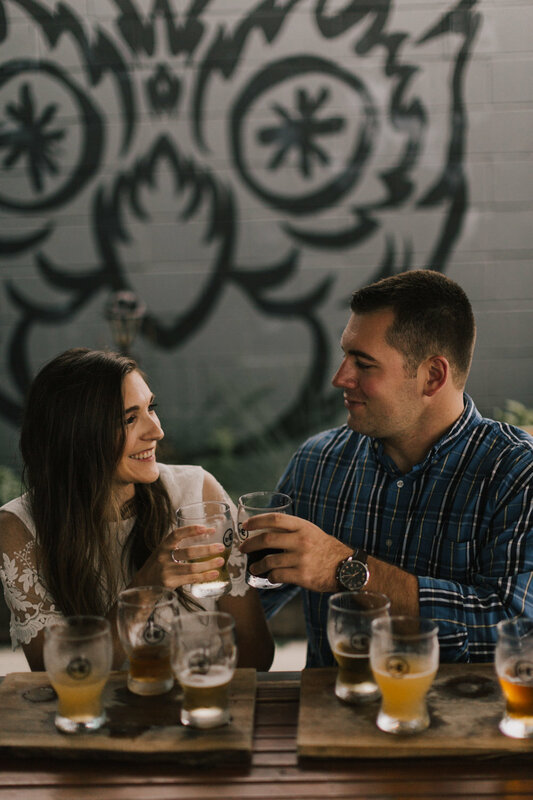 We adventured around the KC Crossroads District, and stopped for a flight at Brewery Emperial. It was literally the perfect day for their Milk Stout. Afterwards we headed up to Liberty Memorial as the rain really started coming down. After it got dark, we hopped on a couple of Birds and zoomed around, because why not. 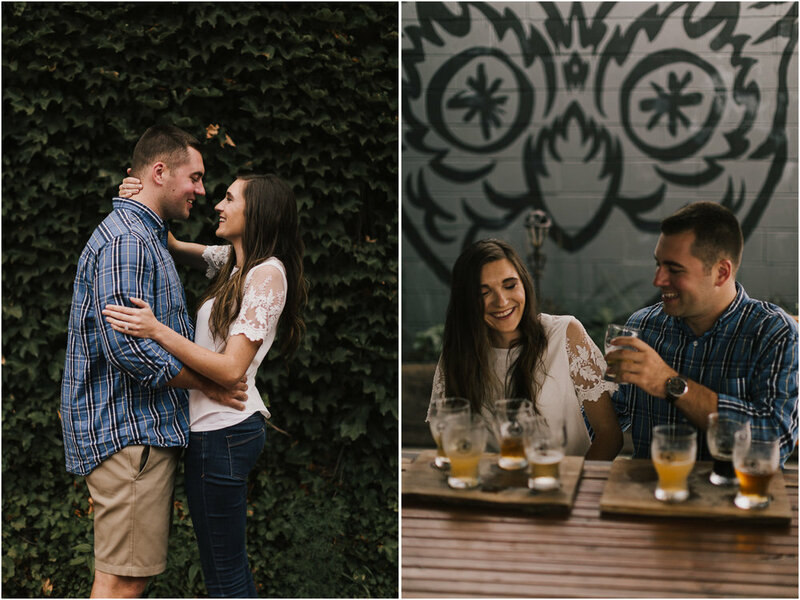 Allison and Logan- thanks for having such a fun engagement session! I can't wait for your wedding next summer!! !